1. Download the 2.6.2 (the latest is 2.6.3 at the time of writing) msi installer from http://www.nunit.org. Ensure Visual Studio is not running while the installer is running. This installs NUnit globally along with the NUnit test runner. However the test runner needs .NET 3.5 to run. 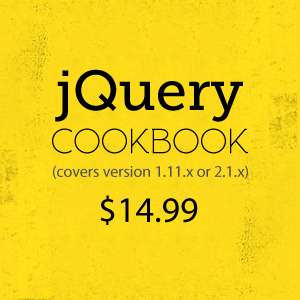 Let’s create a new MVC4 project. The NUnit Test Adapter doesn’t register itself to be used with the ‘New Project Template’ dialog hence while creating the project we can’t select NUnit. So we’ll not create a Test Project here. As shown below, if we select ‘Create a unit Test project’ NUnit is not registered as a Test Framework so we’ll uncheck the ‘Create a unit Test Project’ and continue. Once the MVC Project has been created we add a simple Class Library project to the Solution and append the word ‘Test’ at the end to indicate it’s a Test project. 6. 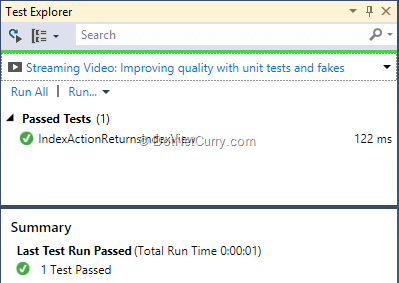 The Test Explorer will scan all the projects for Test cases, you’ll see a green progress bar spinning on top. Once it completes it will show the Test Case you just created. 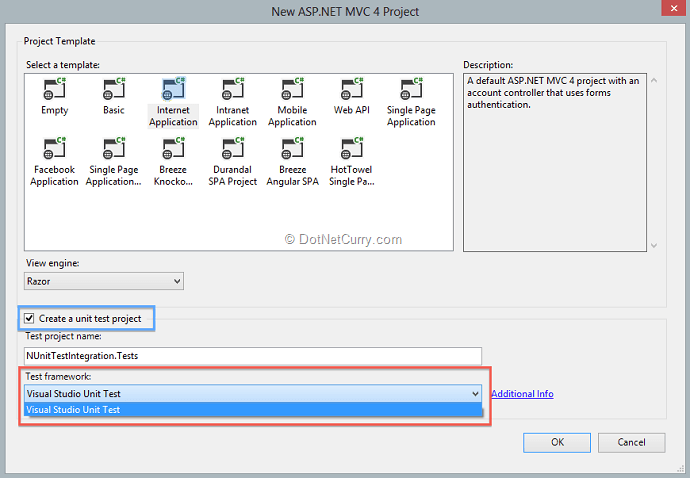 We saw how to setup NUnit and use the integration points in Visual Studio to integrate the Test case execution of an ASP.NET MVC app with Visual Studio’s tooling. Can you tell us how to register NUnit so that it WILL show up in the choices for "Create a Unit Test Project"? 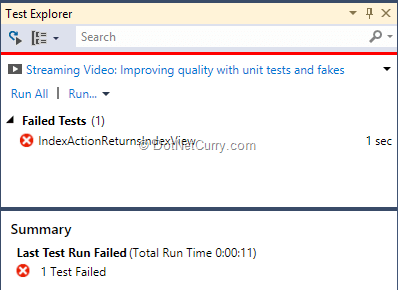 Also, how to do it in VS 2013, which doesn't seem to have the Test Framework option on "Create a Test Project"? thank you.i had knew very about code test.